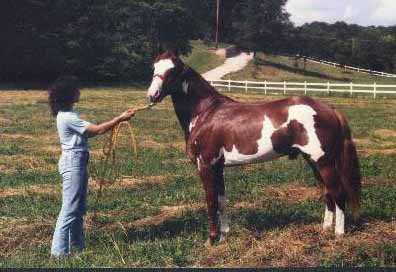 BELOW ARE OVERO GAITED HORSES SOME SABINO SOME FRAME. 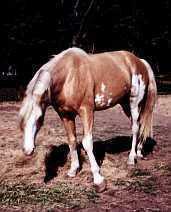 Their breed and if possible the owner and how to reach them. 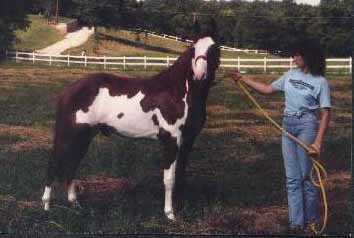 IF you have or know of a overo gaited horse, and would like it included on this page, please contact me. I will be happy to include your horse. 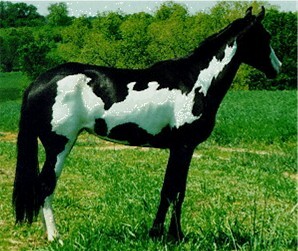 Beautiful black frame overo..something extremely hard to find! 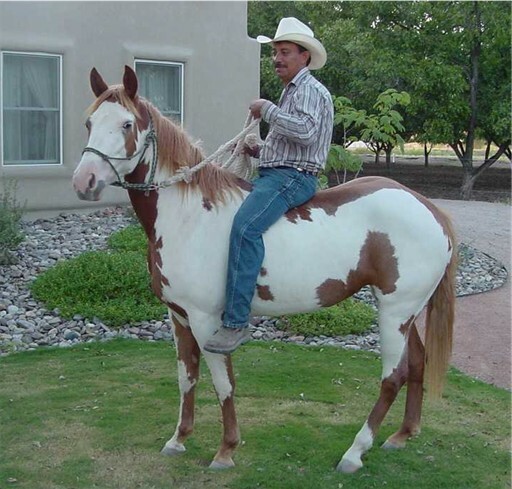 Color Master is a excellent example of a maximum expression of the sabino gene. He is solid white exept for a few faint spots near on eye. He is owned by Mikarma Farms in Guysville, OH. Sadly many people destroy these solid white sabinos in the mistaken idea that they are Lethal whites from the frame. These horses however are perfectly healthy and will not die. 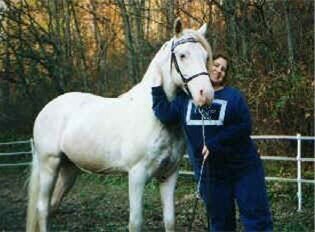 There are so few frame overos in this breed that if you have a solid white foal, odds are extremely high they are a sabino or cremello. 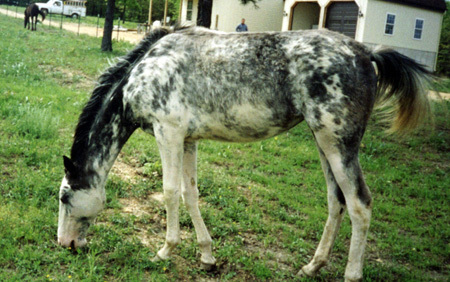 Know your genetics there are only a couple of lines in the breed that carry the frame gene, don't destroy your white foals!! !